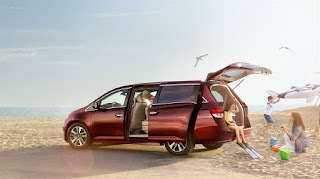 One of the best things about living in San Diego, CA is that there are so many fantastic outdoor locations for San Diego Honda customers to visit via their Honda automobiles. Among the most popular activities in the area is surfing, as there’s nothing quite like strapping a board to the top of a Honda CR-V or Honda Odyssey and then heading to the beach to ride some of the most fun waves in the state of California. Moonlight Beach – At the end of D Street in Encinitas lies Moonlight Beach, which features an area where even beginners can find a wave worthy of their boards. While the die-hards may find the breaks too simple, the area is really fun for surfers, especially considering all the area shops and restaurants just off the beach. Swami’s – This is one of the more popular surfing spots in the area, and while it generally is busy it’s because the water is so nice and appropriately challenging. The bottom here is rocks and sand, and the waves can get pretty sizeable. Plus, when you’re finished, the Encinitas Ale House is nearby for a pint and a meal after a hard day’s worth of work. Sunset Cliffs – This particular area is a little more challenging with its many coves and quirky breaks. It’s a rocky area, but the waves are really fun, especially for those ready for a little tougher experience. While it may seem odd to take surfing advice from a Honda dealership near Lemon Grove, there are employees here at Pacific Honda that do know what they’re talking about. Follow our advice and take advantage of some of the best waves in the area, and use your Honda automobile to get you there!